It has been asserted that the amount of the ‘pleasure chemical’, dopamine, released by the brain is at least partially dependent on the element of surprise. Music can surprise in many ways, often provoking the greatest joy when the output of an unknown, behind unassuming cover and prosaic title, resonates instantly and deeply. Kamifukuoka is such an unknown. It comprises a duo of Japanese musicians: pianist Souichi Takagi and Masayoshi Miyazaki, who handles field recordings, ambient layers and production. Whatever Miyazaki’s numerous and delicate contributions, Music For Red Curtain is very much a work of modern piano composition, dominated by an incredibly accomplished player undoubtedly classically trained but whose style is as progressive as has passed these ears for a long time. Totalling just 23 minutes across six tracks, the work is on the cusp of being long enough to satiate – its complexity satisfying yet also suggesting the pair have much more to offer. 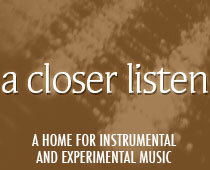 That it’s offered as a free download means little reason to gripe, however! Music For Red Curtain doesn’t have a beginning so much as it just… begins. 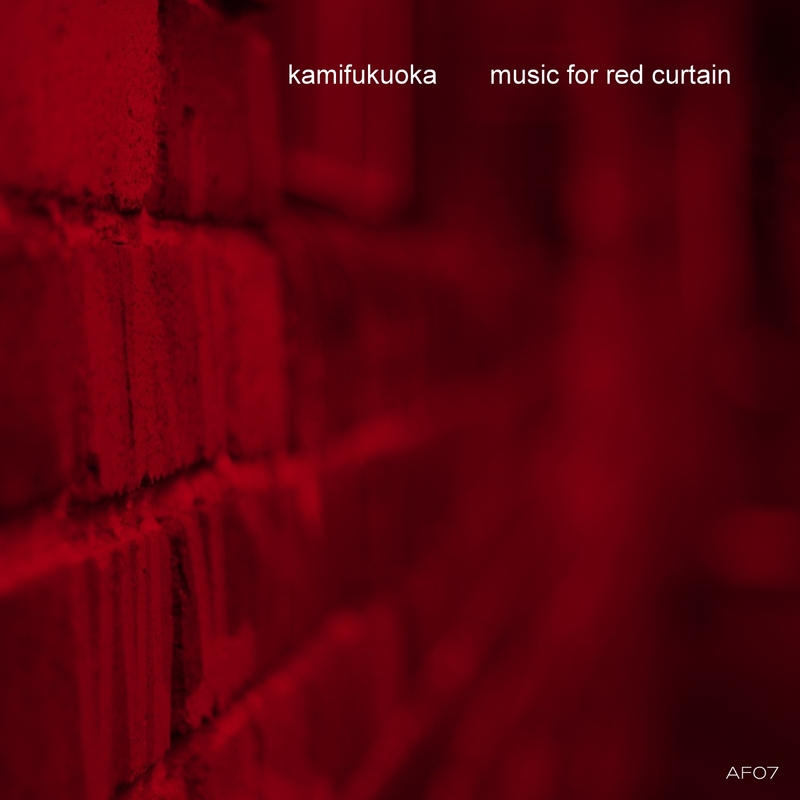 Opener “Ambient PIANO For RED CURTAIN ROOMS” sounds as arbitrary as its title’s capitalization looks, segueing into different progressions and moods in a similar vein to a traditional overture. Prompted by the EP’s name, one envisages a performer hastily rehearsing small extracts of various scenes to be performed when the curtain is drawn. Its chaos beautifully defines the spirit of the record: casting aside the anchor of linear development to sail freely at the caprice of wave and wind. Or is that fickle dictating element closer to home? Scattered throughout are flighty passages that tease with the promise of calming repetition, only for sudden changes to unsettle. Notes not in the established scale will venture in, disarming and hypnotic; the sequence will suddenly wither as if wearied or distracted; extra notes will abruptly interject, either filling the spaces that promised such sedateness or sprinkling over the top as overdubbed confetti – as in the cacophonous coda to “Waiting For The Light Rain”. The strongest pieces surprise multiple times, whisking the listener through passages of romantic efflorescence to avant-garde dissonance. Compositional music often befits or is designed to soundtrack visual art, but Music For Red Curtain seems to take us deeper – beyond representing on-film or on-stage actions to delving into the very mind of the soundtrack’s performer. This mind is the caprice that dictates, and it is one whose attention is in constant search. The result is a set of virtuoso performances that leaves this attention held captive.